On April 13th, Tuning 2 You: Lost Musicians of India will premiere on Channel 4! This six-part series, exploring and celebrating modern India’s rich folk music heritage, is a collaborative project between Soumik Datta Arts, Bagri Foundation, Rumi Foundation and Weavers Studio. Brothers Sarod virtuoso, Soumik Datta and award-winning photo journalist Souvid Datta embark on a vivid and panoramic journey through a raw, undiluted India, spanning 6 states. The first two episodes journey to West Bengal and Rajasthan and will be aired on 13 April at 1:05am as part of Channel 4’s Indian Film Season, however you’ll be able to watch the series on 4 Catch Up or on the 4OD app for up to 30 days after the release. In episode one, Soumik and Souvid track down the travelling minstrels known as Bauls, driven by deep faith and extraordinary spiritual resilience. The episode features music from Tarak Das Baul. 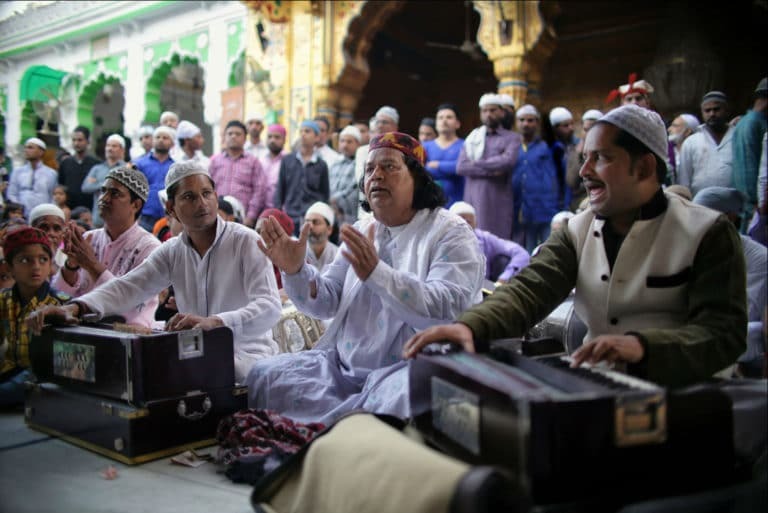 In episode two, in Ajmer, Rajasthan, Soumik meets a Qawwali group who invite him to play inside the spectacular Ajmer Sharif Dargah, the shrine to the Sufi saint Moinuddin Chishti. He also crashes a wedding, jams with tribal drummers and discovers a group of women singers who have never left their village but want to travel and take their songs to the cities. We’re delighted to support Tuning 2 You to showcase India’s forgotten musicians and rare musical collaborations. Teasers for the series can be found on our youtube playlist here.